How to protect house when on vacation in 5 steps. The 5 signs that tell potential burglars that you're not home. When you’re embarking on a big overseas trip, or a weekend out of town with friends, it’s hard to resist the temptation to humblebrag share your excitement on social media. So many of us are guilty of the airport Facebook check-in (accompanied by a gleeful “Off to New York, see y’all in two weeks!”) or of Instagramming a quick selfie to announce the beginning of your road trip down the coast. But if you ask security experts, broadcasting your movements in such a public way isn’t a wise move. A home security survey released last year by GEO found more than half of the participants posted about going away on holidays — including sharing their location via check-in tools — but not all of them knew exactly who could see those details. The issue here is that burglars can easily use social media updates to inform their activities. In fact, four out of five burglers in a 2011 study said Facebook, Twitter and other sites were being used to target empty homes. When you &apos;check in&apos; at your holiday destination, or the airport, or even at a nearby wedding, they see an empty home — and therefore, an opportunity. In this digital age, the only snail mail you receive these days is probably bills and pamphlets, but they&apos;re enough to send a clear message. 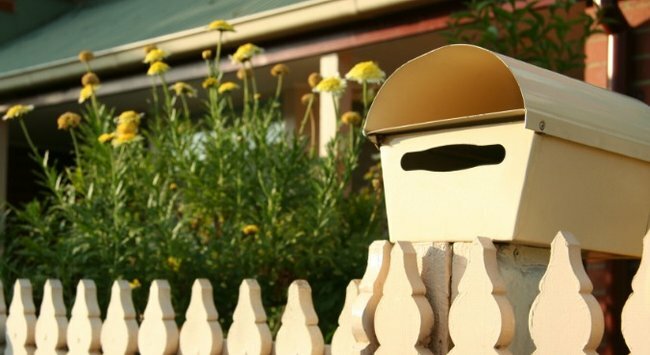 "Full and overflowing mail in your mailbox is sure to tell the whole neighborhood that you are definitely not at home," Elizabeth Dodson, co-founder of HomeZada, told Mashable. If you can&apos;t bribe a friend, neighbour or loved one to swing by and collect your envelopes and precious ASOS deliveries while you&apos;re away, Dodson recommends putting your mail on hold. This can be done by contacting your post office. Essentially, you want to avoid making your house look deserted while you live it up in Hawaii (even though that&apos;s exactly what&apos;s going on here). Your property&apos;s lights, or lackthereof, can be another dead giveaway — particularly if someone has been keeping an eye on your house and has a rough idea of your usual routine. How often do you sit around at home with the lights off? Exactly. According to Charlene Miller, a US Crime Prevention Neighborhood Watch director, you can throw a potential burglar off the scent by using motion-sensor lighting and timers on your TV and other appliances. However, try to vary the pattern of these timings so it doesn&apos;t look suspiciously, well, pre-planned. Whether you&apos;re on holidays or not, motion-activated lights in general can act as a deterrant for burglers. A survey of police detainees in Western Australia found almost 23 per cent were discouraged by these lights. As with a growing pile of enveloped, an untended yard can quickly tell would-be intruders that nobody&apos;s home. Again, if you&apos;re going to be away for longer than a week, it&apos;s a smart idea to ask (nicely!) a neighbour or friend to mow the lawn for you. Alternatively, you could hire someone to do so — sure, it&apos;s more expensive that way, but worth it. Time to rely on your neighbour&apos;s generosity. This one is a no-brainer, and it&apos;s one of the first clues a burglar will look for while contemplating a break-in. Again, it&apos;s time to lean on the generosity of your neighbours. If they can park their car in your driveway, even on alternating days, that can go a long way in giving the impression of an occupied house. While you&apos;re at it, encourage them to drop some of their garbage bags in your wheelie bin — it&apos;s not quite as obvious as an empty driveway, but a bin with nothing in it for days on end screams "Nobody&apos;s here! Come on in!" Do you go to any lengths to protect your home while you&apos;re away?